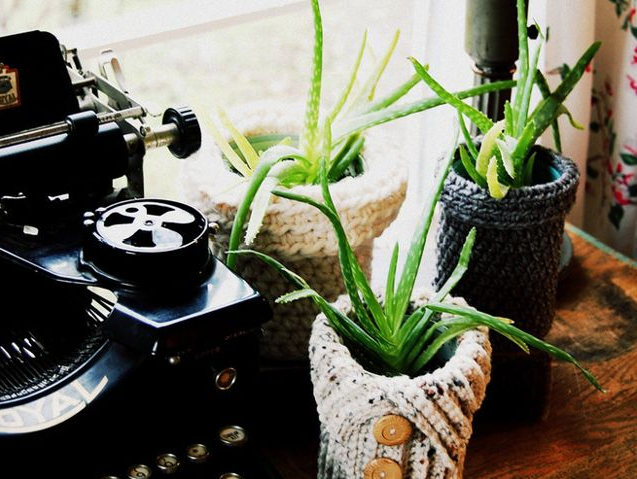 Succulents are making a splash as indoor container plants. 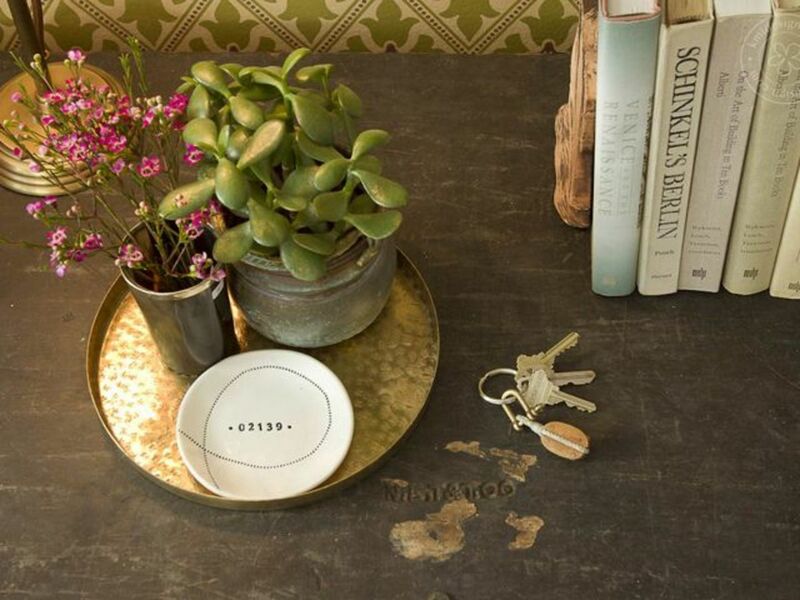 An increasing number of what were once considered dry-climate outdoor succulents can now be found taking center stage inside the home, thanks to their love of dry, warm climates and tolerance for a little neglect. 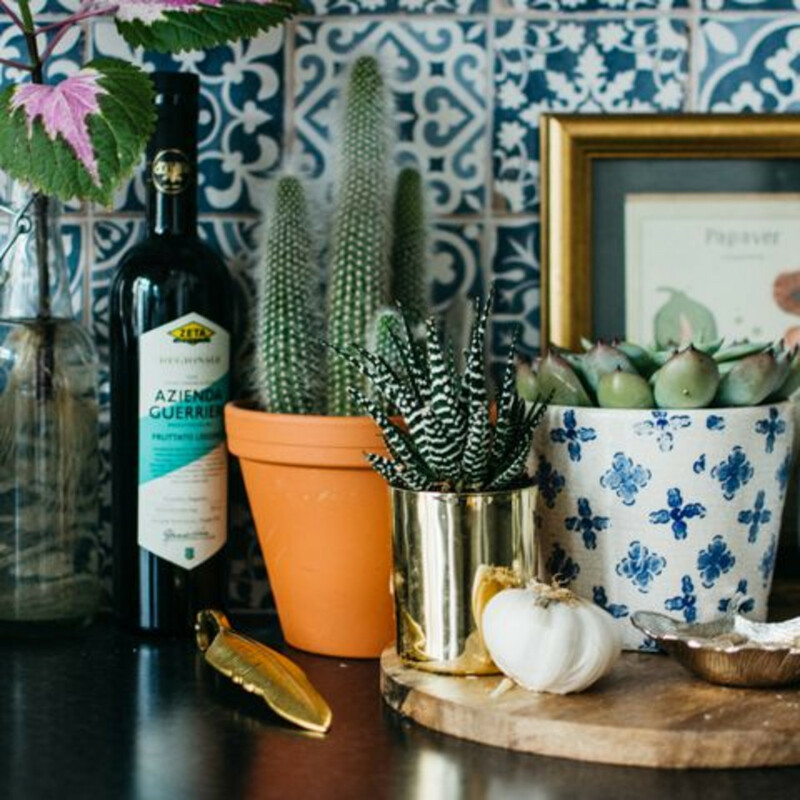 If you’d like to start your own indoor succulent garden — and have an area that receives hours of bright, direct sunlight — here are five choices that are likely to thrive. 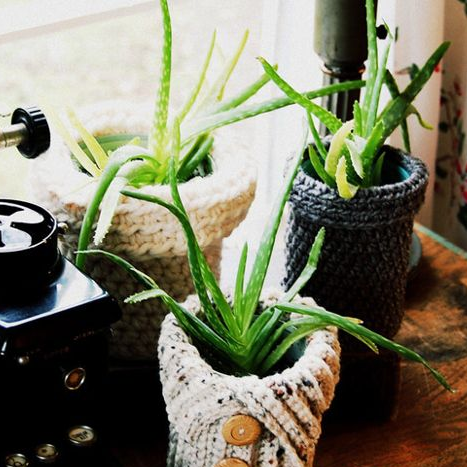 Also known as Barbados aloe, medicinal aloe can do double duty as both an easy-care houseplant and a go-to source for soothing bites, inflammation, and burns, especially sunburns. It has stiff, upright leaves that grow in a clump-like, rosette form. Look for hybrids that will stay small for indoor display. Care: Plant in well-draining soil and place in a spot that gets bright, indirect light. A south-facing window is ideal, but they’ll also do well in an east- or west-facing location. They do best in indoor temperatures of 55 to 80 degrees Fahrenheit. Water every three weeks or so, or when the soil is dry from one to two inches deep, and let drain thoroughly; the plant should never sit in water. Water less in the winter. Feed with a balanced fertilizer at half-strength every month to six weeks in spring and summer to encourage growth. Caution: While aloe is great as an external lotion, it shouldn’t be ingested by humans or pets — the symptoms can be unpleasant to toxic. 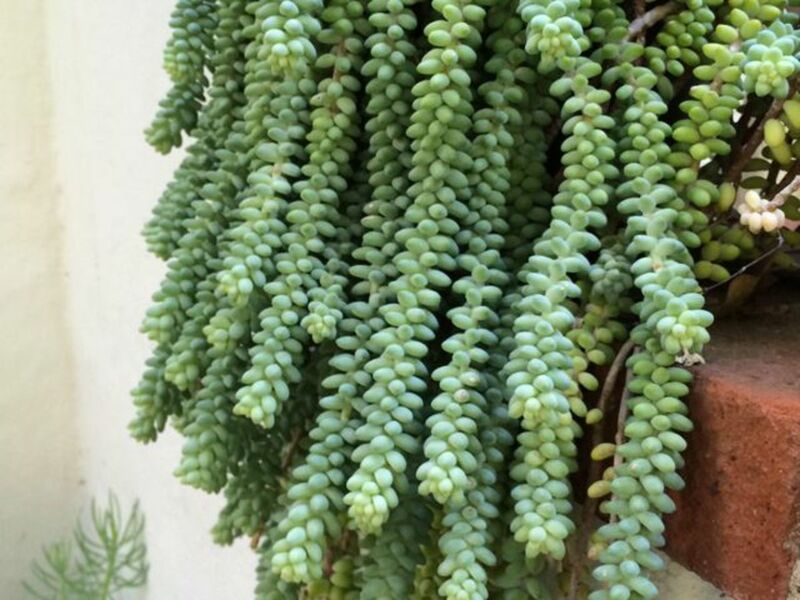 Donkey tail, also called burro’s tail, was made for hanging containers. The stems are lined with tightly packed, fat, gray-green leaves that can reach four feet in length, giving the plant its common name. Use it as a single plant or let it drape over the edges of a mixed container. S. burrito, sometimes sold as S. Burro, is slightly fatter, while the giant donkey tail, which may be sold as S. orpetti, has slightly shorter stems with thicker leaves. Because donkey tail stores water in its leaves, choose a sturdy container and hang it securely so its weight won’t be a problem. 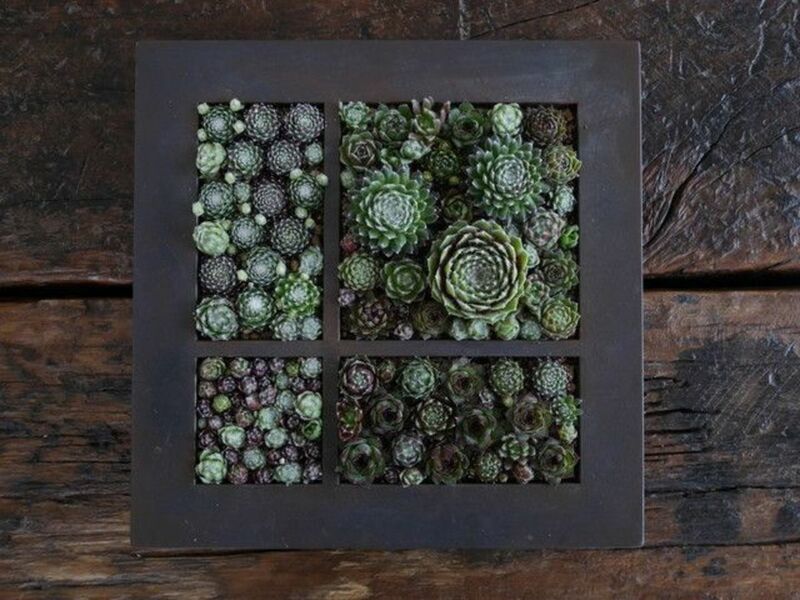 Care: Choose a well-draining, neutral-to-slightly acidic soil, and place the container in a spot where it will get at least four to six hours of bright light, such as a sunny south- or west-facing window. It does best in temperatures between 65 to 75 degrees Fahrenheit in summer and temperatures down to 55 degrees in winter. 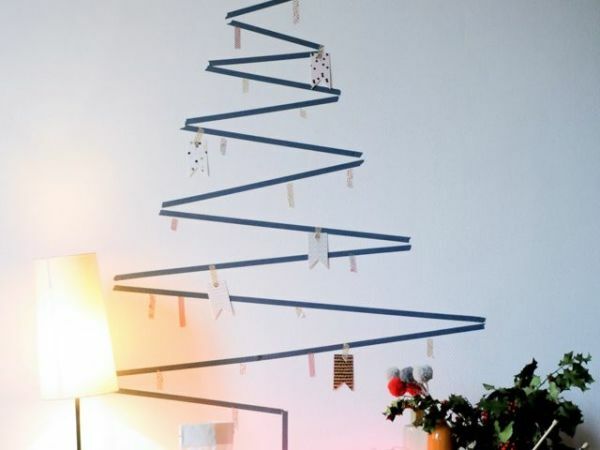 You can also provide a little less light during the winter months. Let the soil dry out between waterings, then water thoroughly and let the soil drain completely. Cut back slightly on watering in winter. Feed monthly with a half-strength balanced fertilizer in spring and summer. 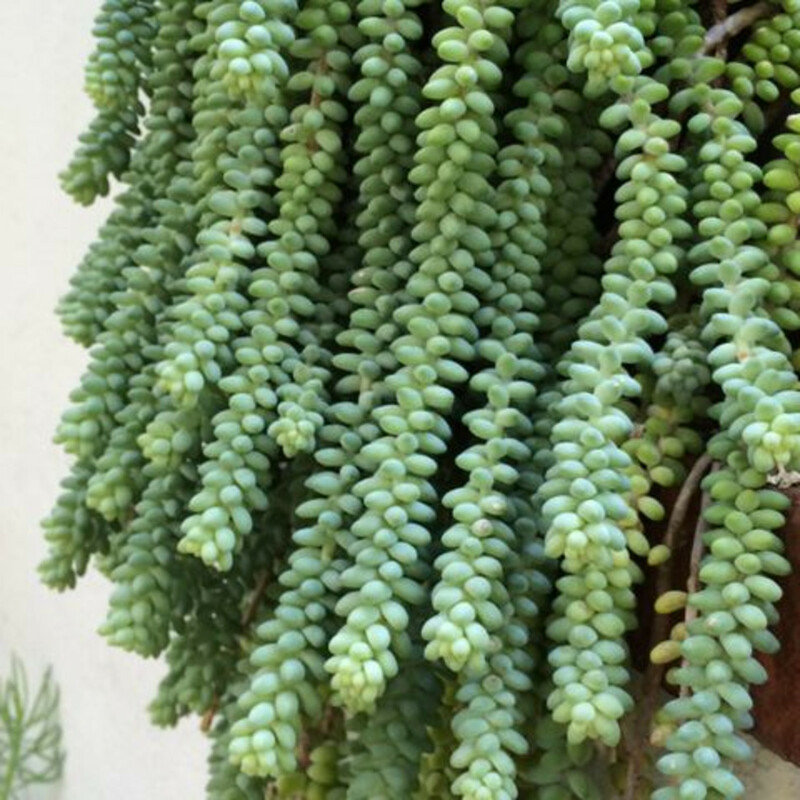 Tip: The stems of donkey tail break off easily, so keep your plant where it will be safe from being accidentally brushed against. 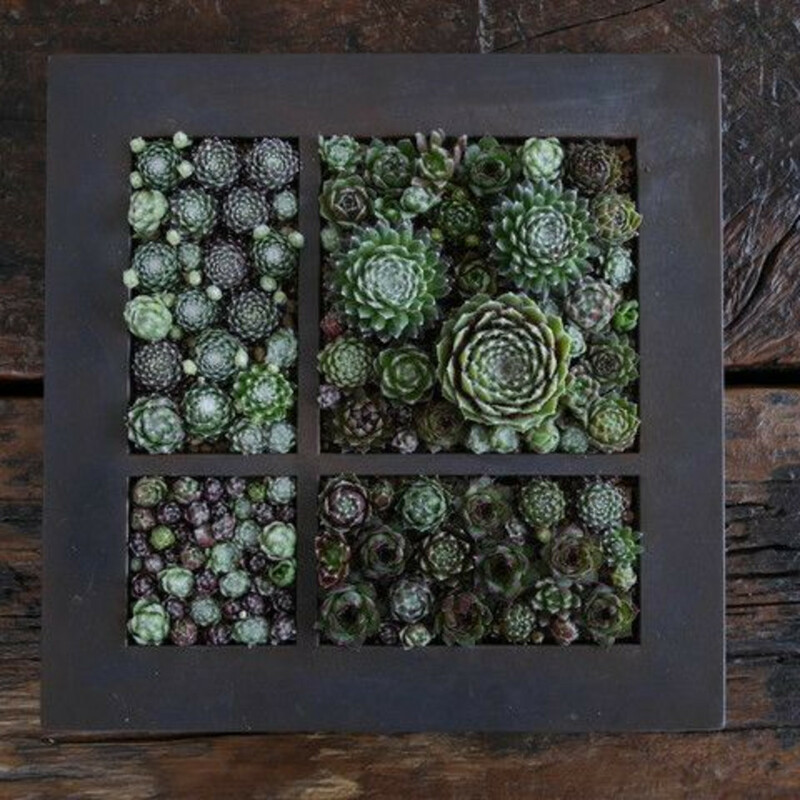 It’s not surprising that hens-and-chicks, or houseleeks, have made the transition from cold-hardy outdoor succulents to indoor succulent garden star. 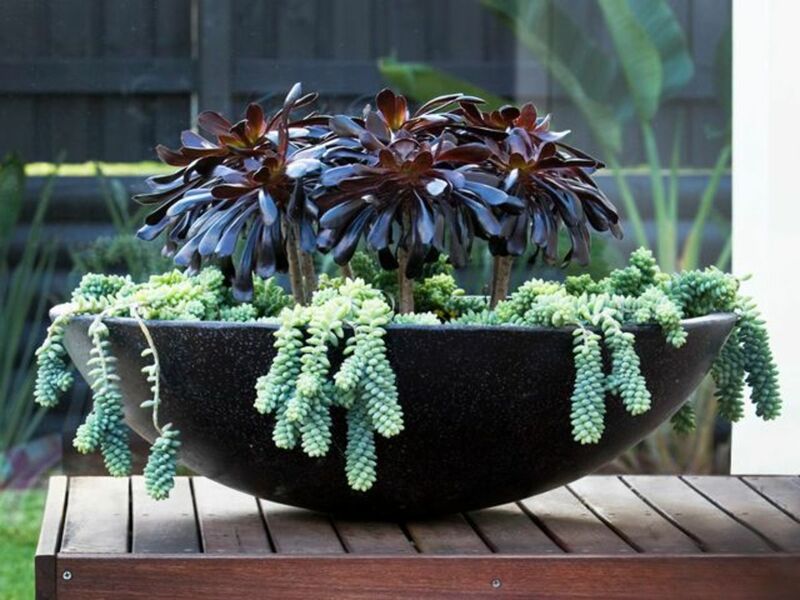 They do well in the temperatures and lower humidity levels of most homes, and you can easily mix them in a container garden with other succulents or show them off on their own. Thanks to the growing number of hybrids, in addition to the familiar species, you can now find hens-and-chicks in a wide range of colors, from red and maroon to chartreuse, blue, and purple. Care: Give these mountain-area natives fast-draining soil and at least six hours of bright, direct sunlight. Their color may fade with less light. They do best in temperatures from 65 to 75 degrees Fahrenheit during the day but can handle very cold temperatures at night. Water sparingly, allow the container to drain completely, and let the soil dry out between waterings (water again if the plant shows signs of shriveling). Feed with a balanced water-soluble fertilizer at one-quarter strength four times during spring and summer. The mother plant will die off in four to six years, but you can easily repot the “chicks” once they appear to start new plants. Tip: Echeveria elegans and echeveria hybrids are also sold as hens-and-chicks. They’re very similar in looks and can be given the same care. 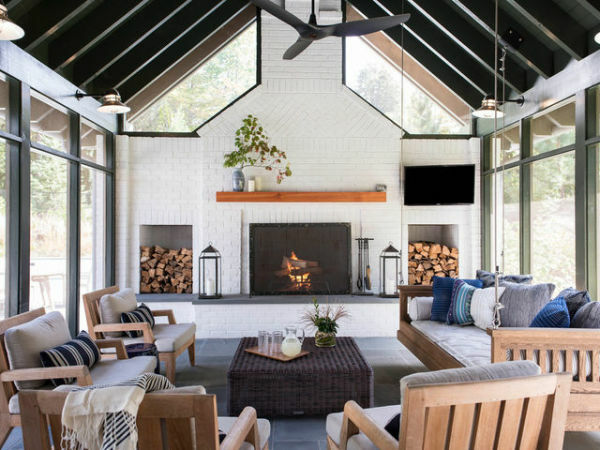 You might bring a jade plant into your home as a small houseplant, but give it the right conditions and you’ll end up with a striking, 4-foot-tall, treelike houseplant with glossy, plump green leaves and a thick, sturdy trunk and stems. These qualities, along with its easy-to-care-for nature, are the reason jade plants remain a popular houseplant choice. 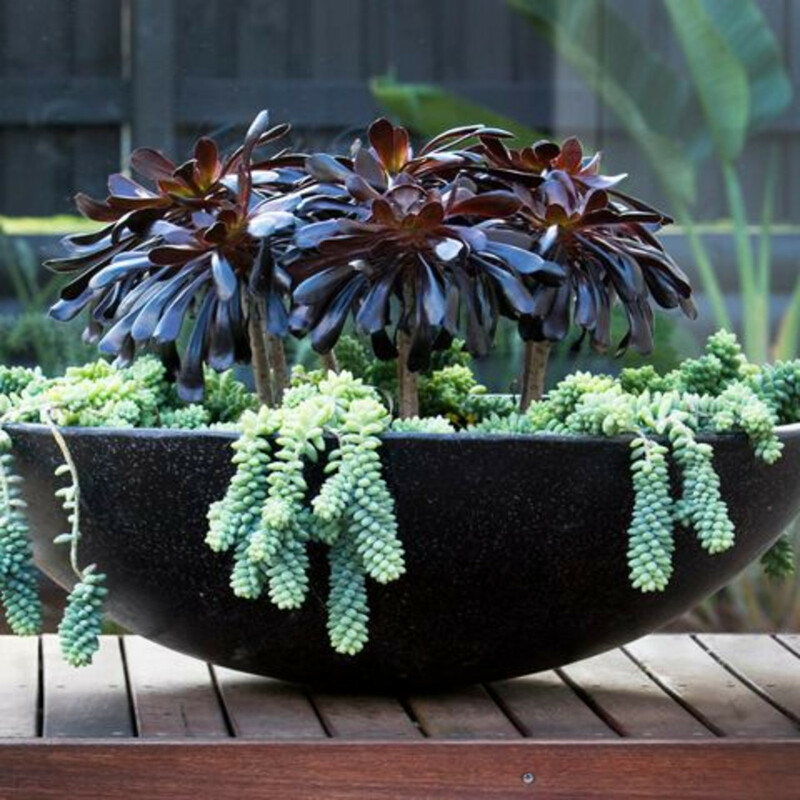 Care: Choose a wide and sturdy pot, as their tree-like canopy makes them top-heavy. Use a well-draining potting mix and place in a spot that gets at least four hours of sunlight; a south-facing window is ideal. Jade plants with variegated leaves will need less light. Keep out of drafts and away from cold windows in winter. They grow best in temperatures from 65 to 75 degrees Fahrenheit, with temperatures as low as 50 to 55 degrees Fahrenheit in winter. Water thoroughly about once or twice a month, when the top soil is dry to the touch, making sure the water drains well and the plant isn’t sitting in water. Cut back somewhat in winter. Wrinkled leaves indicate under-watering. Feed every other month with a balanced water-soluble fertilizer at half-strength, adding it when the soil is wet to encourage growth, though you can get by with less. 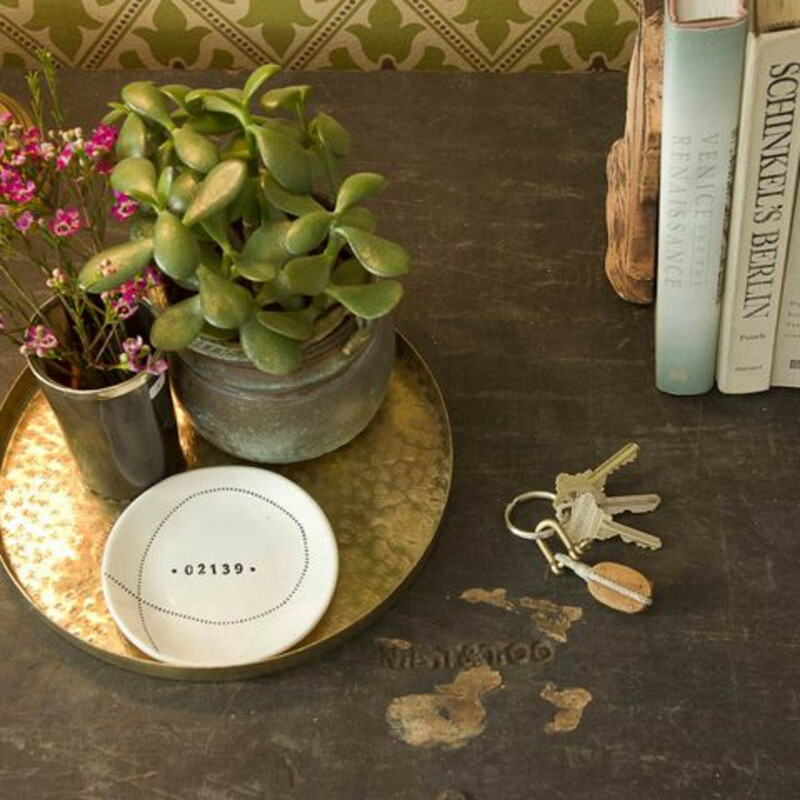 Wipe leaves with water and a soft cloth to keep them dust-free. Tip: Look for slightly smaller growers, such as C. ovata "Minima" or C. ovata "Crosby’s Dwarf." The zebra plant may not be big, usually only reaching about 6 inches tall, but what it lacks in size it makes up for in style. Its rigid, triangular, 3-inch-long leaves, which grow upright out of the plant’s center, are smooth and green on the inside and marked by raised white edges on the outer side, giving this succulent its common name. The zebra plant’s small size and tolerance for the lower humidity levels found indoors have led to its popularity as a houseplant. 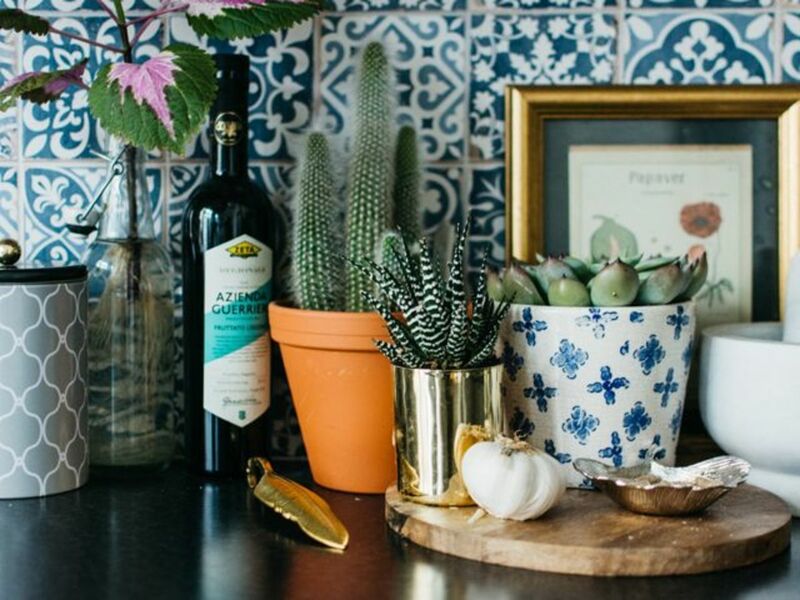 Show it off by itself or mix it in with other succulents. Care: Plant in well-draining soil and place in a spot that gets bright sunlight for most of the day, such as a south- or east-facing location. A little more sunlight will add a pleasing orangish-red tint to the leaves. If the plant gets too much sun, the leaves will turn white or yellow. 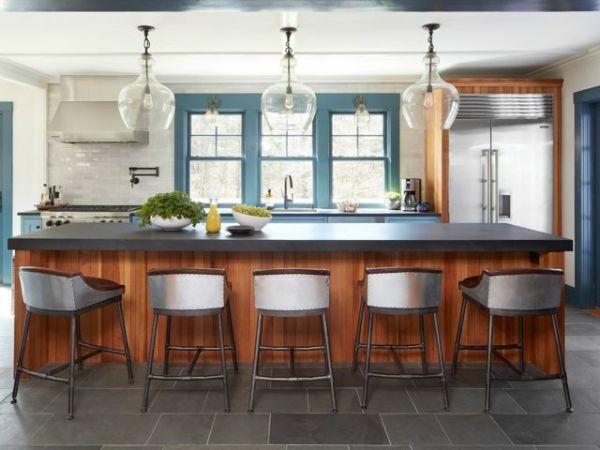 It handles normal indoor temperatures from 65 to 80 degrees Fahrenheit. Water when the soil dries out from spring to fall, taking care that the leaves don’t get wet. In winter, cut back and water when the leaves start to appear wilted. Feed with a diluted balanced liquid fertilizer once a month from spring to fall. Tip: H. attenuata, also sold as zebra plant, has white bumps on the inner leaf surface as well as the outer bands of white. It also will grow a little taller. Grow it indoors as you would zebra plant.